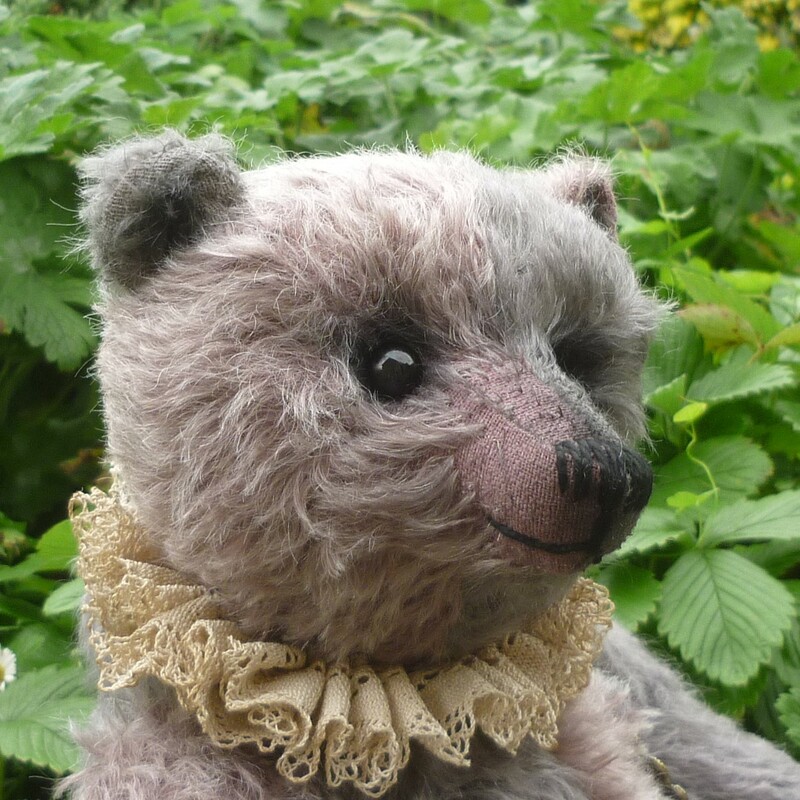 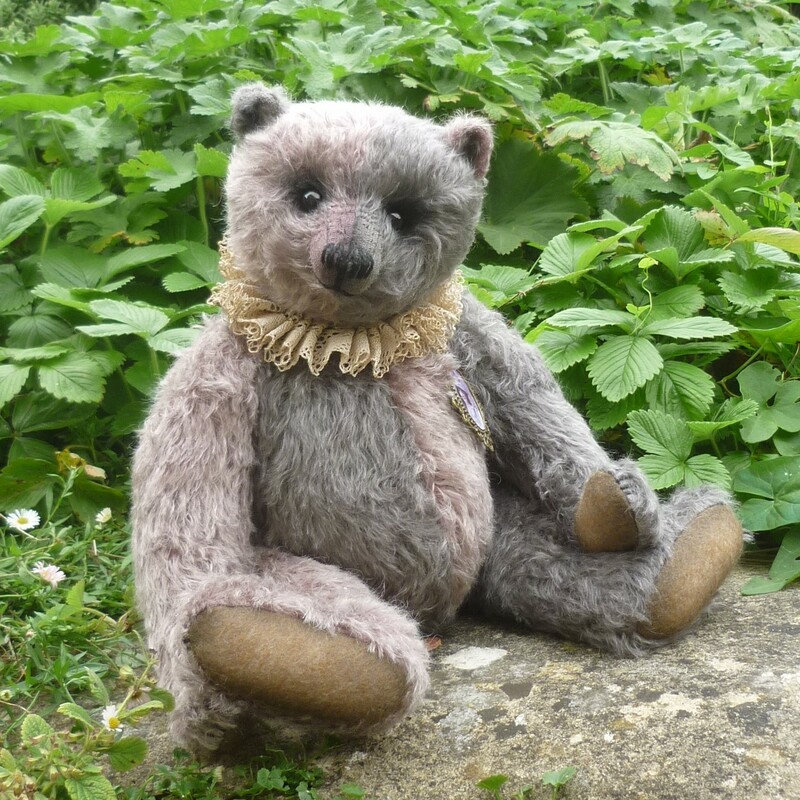 Made of subtly toned, lavender and dusky blue mohair, Alix wears a vintage lace collar and a cameo brooch. 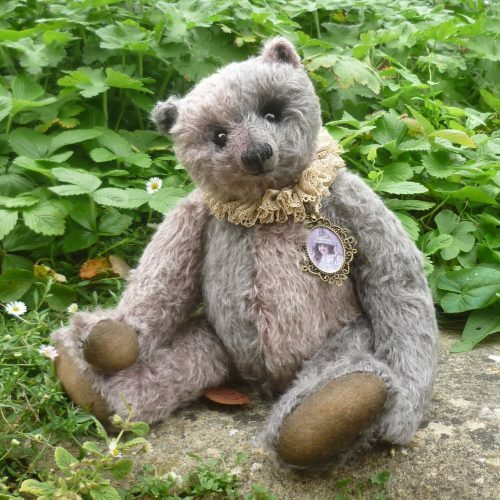 She has vintage shoe button eyes, felt paws and age-painted detail. Hand-stuffed with wood shavings and weighted with mineral pellets.